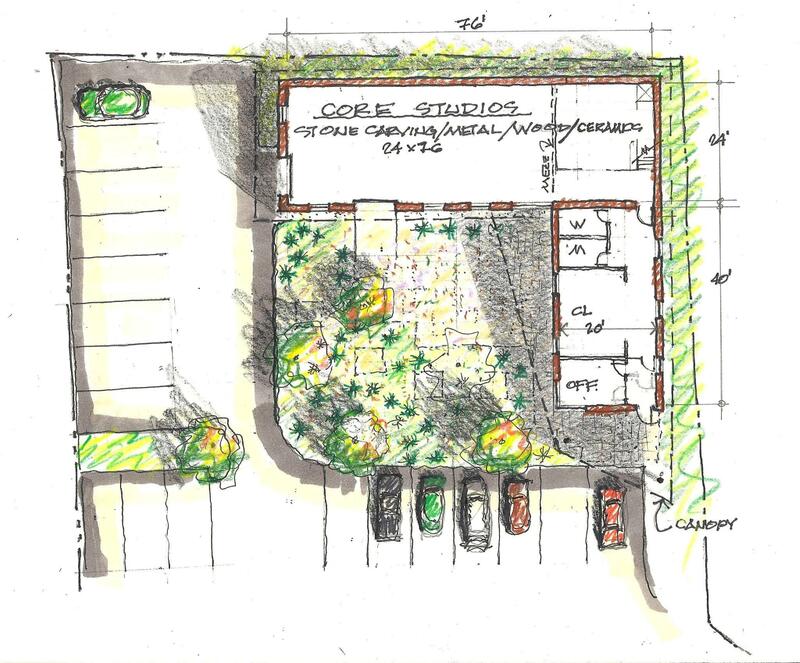 AVA’s plans for the future include a new building for 3-dimensional studies, to be constructed on our recently acquired property behind the parking lot on the north side of our Carter-Kelsey Building. Construction of the new building will begin late summer/early fall 2015; completion is scheduled for spring 2016. It will be constructed to meet “LEED” (Leadership in Energy and Environmental Design) requirements. to the new 3D facility. The former Stone Carving Studio will then be transformed into an additional exhibition space for a Members Gallery; this gallery will expand opportunities for sales and promotion of works by the many talented artists who are members of our organization. Initiatives that will make our facilities net-zero by 2017 (including the installation of solar panels). In addition, it will help eradicate the mortgage on the Carter-Kelsey Building and make possible the establishment of a reserve fund to position AVA for a vibrant future.